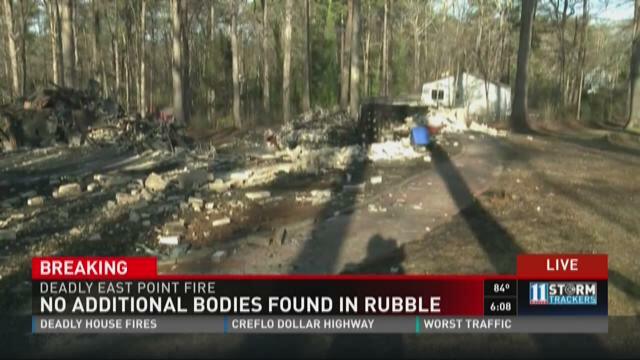 EAST POINT, Ga. -- Two more bodies have been found at the site of an East Point fire. The fire broke out at the single-story home in the 2900 block of Hogan Road just after midnight on Tuesday. Two people were able to escape through windows, and told firefighters that three more people were trapped inside. Crews found the remains of one person around noon on Tuesday. "We thought that there was real strong sentiment and concern that those folks would be in there, and we didn't want to discount that," Ware said. "We wanted to come back out and do our due regards and make certain that if someone was in there, we would be able to find them." EAST POINT, Ga. — A fire at an East Point home early Tuesday is thought to have claimed up to three lives. ATLANTA — The man accused of sexually assaulting multiple women in East Point is going to jail for the rest of his life, officials say. Terry Young pleaded guilty to more than two dozen counts related to the sexual assaults that took place in early September in 2015. The judge sentenced him to life in prison, plus five years. After court proceedings, Young turned to his victims and stated, "Sorry, y'all. My bad." Officials say last year, Young raped four different women at gunpoint between Sept. 3 and Sept. 9 after forcing most of them to withdraw money from bank ATMs. EAST POINT, Ga. — A woman is recovering from gunshot wounds after she was found shot in the head outside a sports bar, according to authorities. EAST POINT, Ga. -- Police are investigating after the driver of a suspected stolen car crashed after a police chase. Atlanta police officials said officers were chasing the car then lost it. From there, officials said East Point police spotted the car but then also lost track of it. But soon the vehicle was spotted again after it slammed into a tree on Headland Drive. East Point police said the driver was revived by emergency responders and then rushed to Grady Hospital. The identity and condition of the driver has not yet been released. EAST POINT, Ga. – Sixty soldiers from across the United States flew out of Atlanta Tuesdya morning for a tour of duty in southwest Asia. 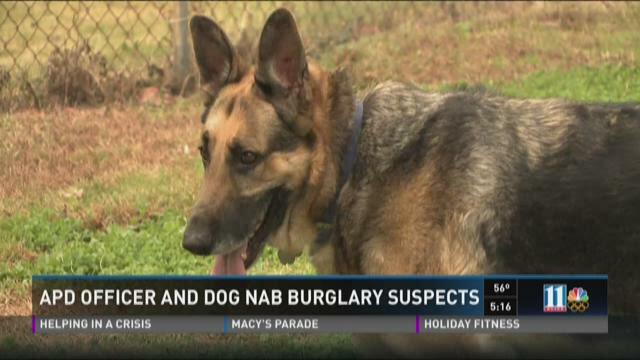 EAST POINT, Ga. -- An off-duty officer with the Atlanta Police department and his civilian dog were walking down the street when they caught two suspected robbers red-handed. Alan Gruen, a sergeant with the Atlanta Police Department, noticed something was off when he looked out his window Monday. He grabbed his dog "Mr. Boris," grabbed his radio and took a walk.